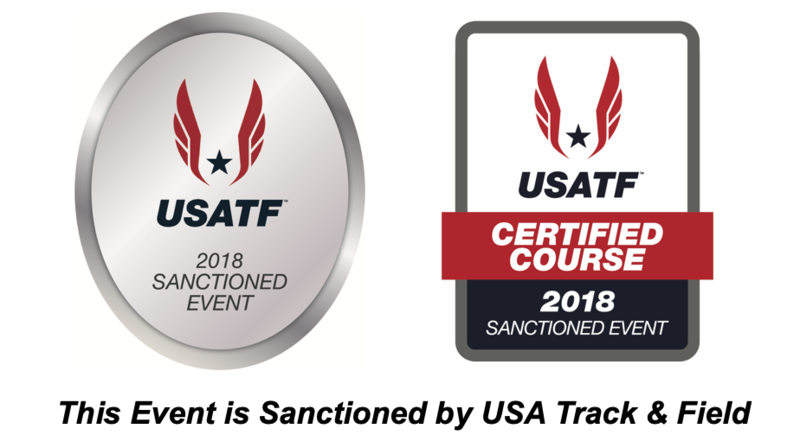 The following event rules and guidelines are intended to ensure the safety of all participants, to meet the requirements of local government permits and to be compliant with applicable USA Track & Field (USATF) and International Association of Athletes Federation (IAAF) regulations for participant performance records and event liability. Registrants must be capable of completing the full distance, start line to finish line, within event time requirement of 1 hour, 2 minutes (20:00 per mile pace). To register, participants must be 5 years of age or older on event day. Registrants under 18 years of age must have the registration form completed by a parent or legal guardian permitting participation. Each participant must read and agree to an event waiver before participating in the event. A parent or legal guardian must complete the registration form and agree to the event waiver for registration under 18 years of age. Any participant seeking accommodation in respect of a disability must submit a written request to the Event Registration Manager. Email your request to D103RUN@yahoo.com. The use of music devices (e.g. iPods) is permitted during the race. The use of cell phones, video devices, cameras or similar devices by participants while in the event is strongly discouraged, and event officials reserve the right to disqualify any participant using such devices who poses a safety hazard on the course. The use of wheeled devices by participants or any other person authorized to be on the course shall be strictly limited to (a) baby joggers/strollers, (b) authorized and registered wheelchair participants, and (c) authorized course marshals on bicycles. Skateboards, rollerblades, unauthorized bicycles and any other wheeled device will not be permitted on the course. Participants must begin the event during the official recognized starting time. The course will remain secured until the 20:00 per mile pace official end vehicle crosses the finish line. At that time, the event is officially concluded. There will be no traffic protection or on course support and the road will be reopened to motor vehicles. Participants will be asked to complete their run/walk on the sidewalk along Riverwoods Road. Participants are advised for health reasons, and to protect the safety of other competitors, not to consume alcohol while running. They must abide by all City of Lincolnshire alcohol use rules and regulations. Event reserves the right to disqualify any runner who poses a risk to themselves or others. All participants are responsible for knowing the race’s start time. Participants shall assemble for the race based on their expected pace per mile. All participants must be positioned behind the official start line and timing mat prior to the race start. The start area will close when the last runner crosses the start line. Once the start area is closed, runners will no longer be able to start the race. No participant, after leaving the course, shall be allowed to rejoin the race either for the purpose of gaining a place or to pace or to assist another participant. Any participant who has been found by a course marshal, event official or surveillance equipment to have gained an unfair advantage by intentionally shortening the race route (“cutting the course”) shall be immediately disqualified from the event. No persons are authorized to be on the course unless they are registered participants. Therefore, no person shall be allowed to accompany a participant if he/she is not registered in the event, unless said person is an infant/toddler being pushed in a baby jogger/stroller by a registered participant. Any person not properly displaying an authorized and issued bib number shall be directed to leave the course. No participant shall be allowed, without the permission of the event management, to receive assistance or refreshment from anyone during the progress of the event. A hands-on medical examination during the progress of an event by officially designated medical personnel shall not be considered assistance and will not result in disqualification if participant is deemed medically fit. Medical personnel authorized by the event to do so may examine any participant who appears in distress. If, in the sole opinion of authorized medical personnel it is in the best interest of the participant’s health and welfare, medical personnel may remove the participant from the event. Participants must retire at once from the race if ordered to do so by a member of the event’s official staff, official medical staff or any governmental authority, including fire and police officials. Event officials reserve the right to delay, cancel or suspend the race due to inclement weather or other dangerous circumstances in accordance with Emergency Protocol on severe emergencies and/or inclement weather. Participants should familiarize themselves with the Event Alert System (EAS) and adjust their race pans accordingly. Participants are responsible for the proper use and application of their assigned timing device. Participant net times greater than the event time requirement (1 hour, 2 minutes) will not be recognized as official. Participants with missing split times at official electronic timing checkpoints may be disqualified. All participant finish times are reviewed before times are designated official. Participants must begin the event during the official recognized starting time in orer to register an official course completion time. Failure to follow these event rules, as may be amended, will result in immediate disqualification and removal from official results. The District 103 Run for D103 5K Run/Walk follows, and participants are subject to, the rules specified by USATF and IAAF. Please visit usatf.org and iaaf.org for additional information concerning the rules mandated by the governing bodies for the sport.